Steve Mobbs is your no limits, free-thinking, winemaker doing incredible things for NSW wine! 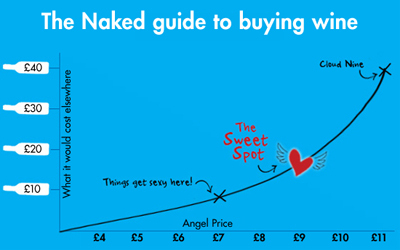 Thanks to Naked Angels, Steve has been empowered to make his exclusive Made by Mobbs boutique wines, the way he really wants: as a work of art, not as a cog in the corporate high-volume machine. Growing up on his parents vineyard in northern NSW, Steve saw first-hand the dedication, discipline and sheer hard work required to grow the finest possible grapes. These years instilled an enduring love of land, of vine and of family. Steve’s passion and fascination for the high-altitude, cool-climate Orange region in the Central Ranges of New South Wales invigorated his weary travelling bones and finally called him back home. As part of an award-winning team, Steve’s day job has him rolling and climbing between barrels for one of the region’s most recognisable brands. Orange is a unique winemaking region. Starting at a staggering 600 metres above sea level, this extraordinary wine growing region is one of the highest in Australia. “My wines are true to their cool-climate region. They have a freshness and elegance. I focus on fruit purity and varietal character.“ Winemaker or artist? 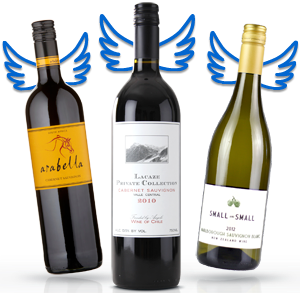 Either way Steve is starting his Naked life by delivering searing new-century Chardonnay and Merlot to Angels, with more to come. They are simply not to be missed!